When we think “rest,” we think about stopping all activity. But our rest intervals don’t have to mean we completely stop working EVERYTHING and just stand there not moving, watching the TV in the gym. This also doesn’t mean though that rest isn’t important and that you should simple cut it out as much as possible from your workouts. It just means that “rest” doesn’t ONLY mean completely stopping all activity. Rest is when our body replenishes our energy resources so that we can perform the next set or interval at the desired intensity. This can influence not only WHERE we get our energy from aka which energy system we are using to fuel our activity but also our INTENSITY. By including more rest in our workouts, we can usually keep our maximal intensity higher and be able to lift heavier. The longer our rest, usually the higher intensity we can work at because our body has more time to recharge. While there will be times your rest period should simply be you trying to breathe and bring your heart rate back down, all too often we don’t utilize our rest periods as effectively as we could. Rest can still be “active” while we allow our bodies to recover. We most often see it implemented as a lower intensity cardio exercise between rounds to allow us to bring our heart rate down as we keep moving. Or even light jumping jacks between intervals of harder moves like burpees. The point of active rest, in this case, is to allow us to recover enough to go hard the next round while keeping us moving to increase our overall output and calorie burn WITHOUT having to spend longer in the gym. Isolation work to activate specific muscle groups so that you help establish the mind-body connection during your rest for your compound exercises. Mobility and flexibility work to help you strengthen through a full range of motion and get more out of your workout. Form review. This can help you make sure to dial in your form and even make corrections as you recover. All of these uses though help you fit in more to less time by making use of a “rest time” where you could just potentially be standing around. Rest doesn’t have to mean just taking time off! Not only can you use “easier” or lower intensity moves to recover as you keep moving to get more out of less time, BUT you can also perform active rest by alternating the muscles or areas you are working. Instead of doing a single heavy lift and then resting, you can create supersets or circuits that combine multiple moves together working different areas or muscles. For example, you could superset squats with inverted rows. This way you are working multiple large muscle groups during your workouts to build strength and burn more calories, BUT your legs are also getting a rest as your upper body works! This could save you time on rest because one area rests as the other works. You could also create a circuit using the same method moving from squats to pull ups to glute bridges to push ups. 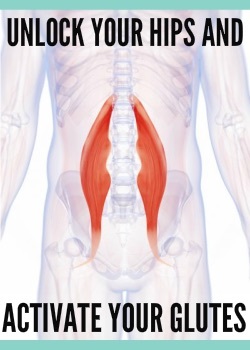 This way you are alternating areas that are being worked so that muscles are rested by the time you return to that move. Of course with this, yes, you are constantly expending energy, BUT at least specific areas or muscles are given time to rest. You could also vary the intensity and even type of move used (compound vs hybrid vs isolation) to allow your body to rest more or less as you go through the circuit or superset. Using a more isolated exercise, while it could be used to “burn out” a muscle, could also be used to lower the intensity as you go through the circuit so that you’ve recovered more when you perform the next round. It can also be used as activation! Struggling to feel a muscle contract or work properly? Feel other muscles starting to compensate? Is one side weaker and struggling to do it’s part? Why not use your rest to make sure the correct muscles are activated and working?! Isolation moves, or activation movements, can help you establish the mind-body connection with underactive muscles. They can also help you correct imbalances between your weak and dominant side. Too often with our workouts we go through the motions and just try to get them done. We focus on lifting more than we did before, but not always whether or not the right muscles are carrying the load. But getting more out of our workouts isn’t just about lifting more EVEN with proper form. It is also about FEELING the right muscles working. And this can be extremely difficult for some of us to do, even if our form “looks” correct. That is why performing activation exercises during your rest can be so beneficial. You can establish the mind-body connection to recruit the correct muscles right before you lift. And you will also allow your body to recover during that time as activation moves aren’t about fatiguing the muscle. You just want to do low resistance movements to feel the muscle firing. By doing this during your rest, you allow your body to recover AND can actually help yourself get more out of your working set by lowering your risk for compensation and injury! Often we don’t want to “waste time” on all of that prehab stuff, like the activation moves. Which means we don’t do it. BUT if we can do it during our rest, a time we often want to skip to just get our workout over and done with, we can not only get ourselves to do the prehab we would otherwise skip but actually take the rest we should! This is also the boring prehab stuff, the warm up stuff, we usually like to skip. BUT it is the stuff that not only helps us move better to prevent injury but can actually help us hit that new workout PR. Ever notice after a round or two of lifting you seem able to get a bit lower or perform a slightly bigger range of motion more easily? It’s because your body becomes more mobile as you “warm up” and work through the range of motion. Why not A. do a proper warm up, and B. include mobility drills during your rest so you can improve your range of motion for your working rounds? That is why, like activation exercises, mobility and flexibility work during your active rest can be so beneficial. Your body can completely recover as you help yourself even move better the next round. For example, you’re trying to improve your squat depth. Working on mobilizing tight areas between rounds may help you get lower in your squat AND strengthen through that new range of motion so you keep the mobility you’re working hard toward. Doing some foam rolling as part of your mobility work may also help you relax overactive muscles that may be causing other muscles to be inhibited. For example, your hamstrings tend to take over during weighted glute bridges and you want to make sure your glutes fire correctly so you don’t perpetuate your hamstring dominance but instead correct it. Foam rolling your overactive hamstrings, maybe even paired with a glute activation move, could help you make sure the correct muscles are firing when you then perform the weighted glute bridge. This mobility work as active rest helps you recover and also get the correct muscles working so you avoid injury and even get more out of your workouts. The benefits go far beyond that single training session. One thing to remember though, if using mobility and flexibility work as your active rest, is to focus on dynamic stretching, foam rolling and even activation. Static stretches are best left till after your workout as they may reduce power and performance. Another reason to use mobility and flexibility work as active rest (and even activation exercises) is to personalize group training sessions! If everyone in class is resting together, this is a perfect time to address UNIQUE imbalances even though each person may be doing the same exercises. This can help you keep individuals safe and help everyone benefit from the workout! Form review is another great way to allow your body to fully recover as you make sure to fit in as much as possible to a short gym session or even a group training session. During your rest, use the time to assess form. Even practicing a few reps with no resistance if needed. If you’ve taped it, you can review. Or if you are working with a coach (or you’re the coach working with the client), it is the perfect time to go over cues and discuss ways to dial things in more without feeling the need to focus on other things. Rest is the perfect time for feedback because you can actually focus on the feedback being given. That way when it is time to work, you’ll be ready to get the most out of it! Feedback, or demoing moves for a class, during rest is the perfect way to keep group training sessions running smoothly as well! Pick the option that helps you get MORE out of your workouts. Rest is about recovering so you can keep working at the desired intensity for the desired number of reps or set amount of time. But that doesn’t mean you just have to sit or stand there. You may make your rest “active” by using lower intensity moves, working other muscles, activating underactive muscles, improving your mobility and flexibility or even dialing in your form. Just remember rest isn’t something to simply cut out! It is an important training variable we can use to help us reach our goals more quickly and even get more out of shorter training sessions! 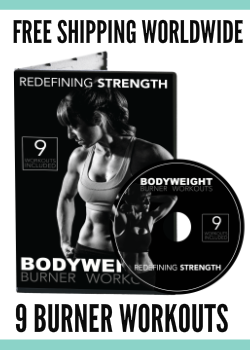 Ready to learn more about designing workouts that work!? Check out my Training Black Book! 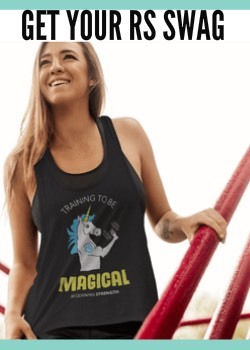 I go over everything from training variables to energy systems to pyramid training and rest-pause technique with actual workout designs and templates! I provide over 50 done for your workouts and share all of my training techniques. Over 10 hours of content and CEUs for trainers are available! Learn more and get a sneak peak inside!